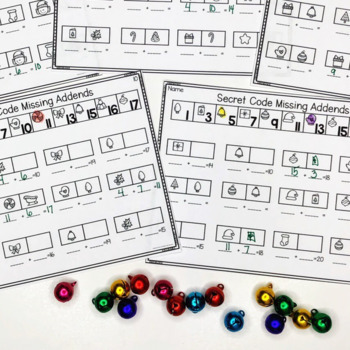 Your students will love working on addition and subtraction math facts when Secret Code is involved! Students use the key at the top of each page and write their number sentence. Then they solve the problem. Math facts from 1-20 are covered using addition and subtraction. 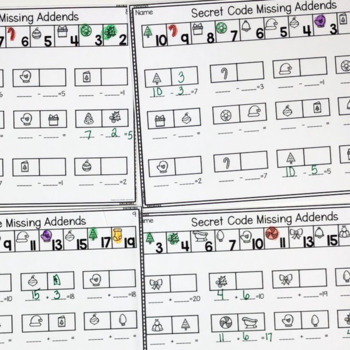 This resource gives your students extra math practice in a fun and engaging way. 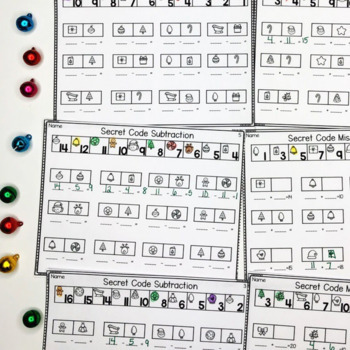 This set is part of a bigger Secret Code Math Bundle. Purchasing the bundle saves you 20% plus each time new sets are added you get them for FREE. These print and go sheets are perfect for small groups, fast finishers, homework and more. Take a look at the preview to see an up-close look at the sheets.